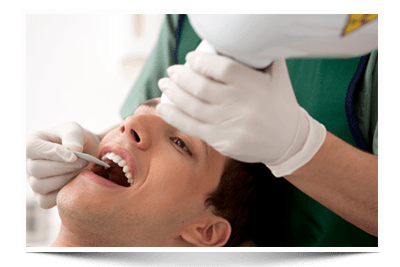 Keep your mouth healthy with gentle family dental services, including endodontic and aesthetic dentistry, from our offices in Porterville and Woodlake, California. Hutchins Dental is a partnership between two identical twin brothers, Elwin & Erwin Hutchins, in the Porterville and Woodlake areas. At our gentle family dentistry, you’ll receive all of the general and aesthetic dentistry you need to have your mouth, teeth, and gums looking and feeling healthy. Bringing more than 30 years of experience each, Dr. Elwin and Dr. Erwin are able to provide dependable general dentistry that help you maintain the health of your teeth and gums. From X-rays to complete restorative dentistry, our knowledgeable staff is ready to give you back your beautiful smile. Let us become your dentist for life®. You don’t have to be scared thanks to our gentle family dentistry. 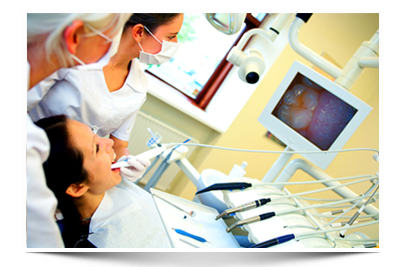 With our endodontic dentistry, we make the experience of getting a root canal something you won’t have to fret about. Restorative Dentistry Dr. Elwin and Dr. Erwin use their years of experience to rejuvenate your mouth so that it looks good and ensure that any restorative dentistry is performed the right way the first time. Making affordable the dental services you require by accepting most dental insurances, major credit cards, and even easier with our Care Credit® options, where we help with the interest for up to 2 years. You can be approved within just 5 minutes through Care Credit. for any of our gentle family dentistry services.